To Automap or not to Automap? Re: To Automap or not to Automap? North-East corner of levels 1-3, and 5. I'm definitely a fan of auto-mapping, and probably wouldn't play a game that didn't have it. It was different when I played the original games back in the 80s-- I was a kid who had long summer vacations and no real responsibilities, so devoting countless hours to playing a video game was fine (well, maybe not "fine," but do-able. That's not really the case these days. Also, the standards of games have changed. Back then, it was acceptable to make a ridiculously convoluted map to confuse the gamer and prolong the experience. These days, there are better ways to challenge players. It's just a matter of what experience you value. To you, it's convoluted and confusing and requires 'countless' hours in single sessions. Heck, look at some tabletop games - you could have a few friends and play one single dungeon level with multiple rooms, and only get through 2 rooms in a 3 hour session, depending on how detailed or active the game plays out with the DM. Don't be dissin' the length or speed ;) It's a different experience... granted, yes, for today's video gamer demographic, a certain experience may not be optimal if you aim to capture a large segment of the market. So again, it's a matter of what is the goal of the game, what's the intent, the experience being designed for gamers to enjoy? Decisions are only good/bad depending on that goal, and whether it meets success or not. Indeed, I loved the variety of DW maps. BT3 broke away from a bit of the 'maze'-like maps of BT1 and 2..a bit. Varying sizes and implied environments. DW really mixed it up though. And that was fun. Of course, I'm not opposed to there being a few maze-like areas in BT4, but I don't want the bulk of the game's challenge to come from convoluted maps, and I want the areas to feel believable (i.e. castles that look like castles.) From what I've seen of the Alpha, it looks like they're on the right track in this regard. Make me believe the maze if it must be there. It featured spinners, wrap-arounds, invisible walls, portals, requirement to use the 'Soften Stone' spell (PHDO in BT) and other hazards, although not as excessively as BT2-3. 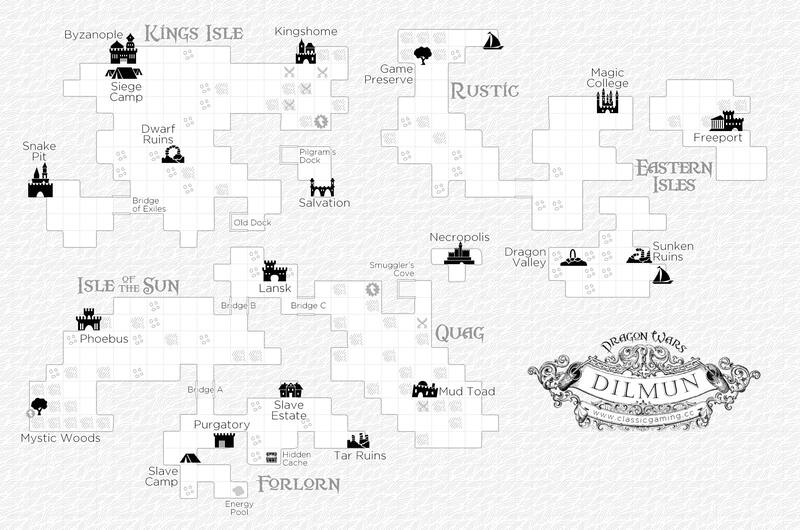 Also double-level open-world of Dilmun/Magan Underworld, under 2 MBytes. Awesome design and programming. 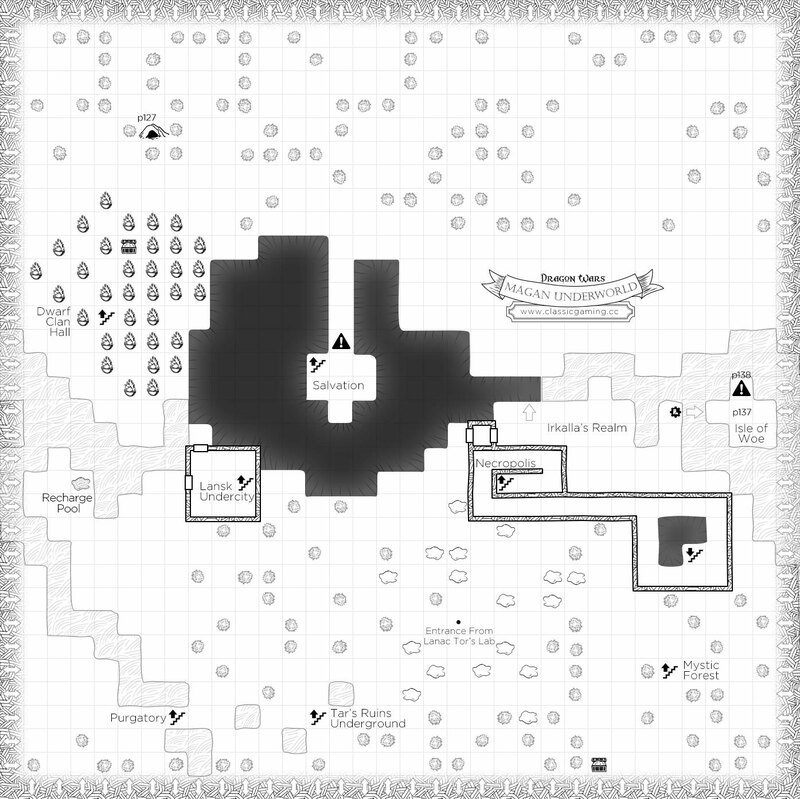 Back then, it was acceptable to make a ridiculously convoluted map to confuse the gamer and prolong the experience. That and loading times. Today it's loading times, slow unskippable animations and cutscenes, long-winded dialogue, slow movement, fiddly and cumbersome control schemes and so on. These days, there are better ways to challenge players. To me, in the dungeon-crawler subgenre of CRPGs (which BT4 falls into), the primary challenge should still come from the dungeons and environment, followed by tactical combat and resource management. Puzzles have their place, but if I will have to solve a convoluted puzzle minigame, each time I want to open a lock, or use a magic item, I won't be happy. Let's get back to this and look at Dungeon Master and Eye of the Beholder again, for a minute. I think they are the purest form of the classic dungeon-crawl. 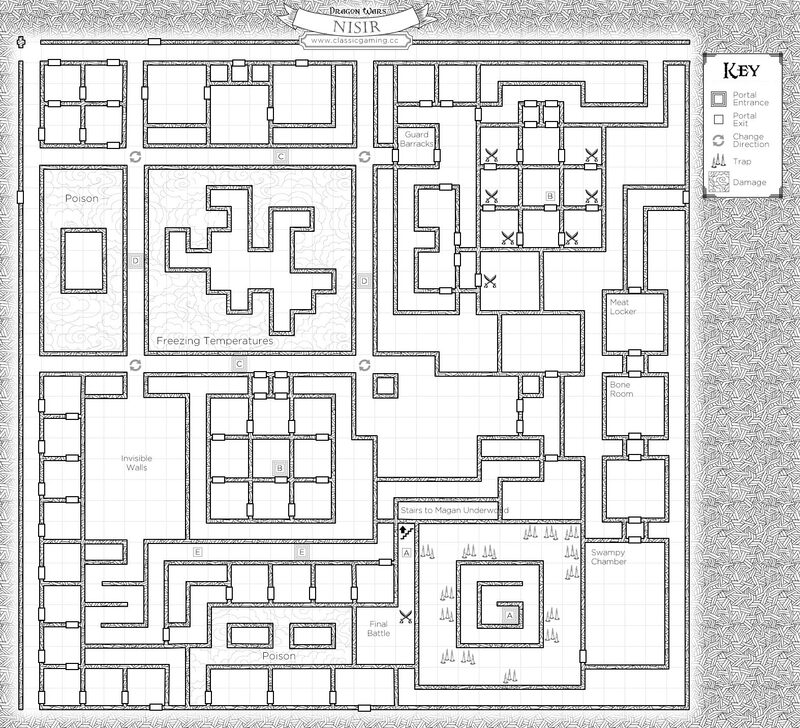 The bulk of their challenge comes from "convoluted maps" (see DM & EoB maps). They offer ~20 and ~15 hours of gameplay respectively, around the same amont BT4 promises, if I'm not mistaken. That amount is pure hard-content though, zero padding and prolonging the experience by anythig else, than dungeon-crawling. And if someone knows the dungeons in and out, then they can challenge themselves by finishing the games in 20, or 7 minutes respectively. Just a curiosity, of course I don't want real-time, hack & slash combat, but I highly respect those games, that do exactly what they "say on the tin".